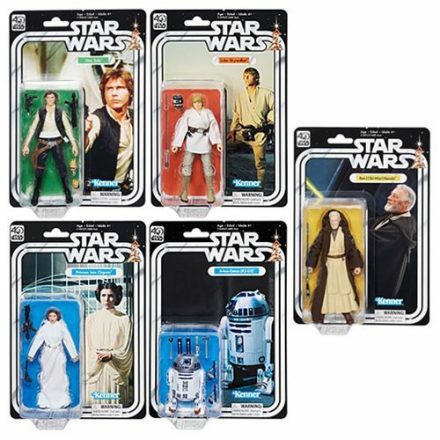 Hasbro and Gentle Giant Studios has partnered up to produce a new line of Star Wars Black action figurines, inspired by the original Star Wars Kenner toys in both sculpt and packaging, but updated with over 20 points of articulation, and better accessories. This entry was posted on Monday, February 27th, 2017 at 10:00	and is filed under Toys. You can follow any responses to this entry through the RSS 2.0 feed. Both comments and pings are currently closed.